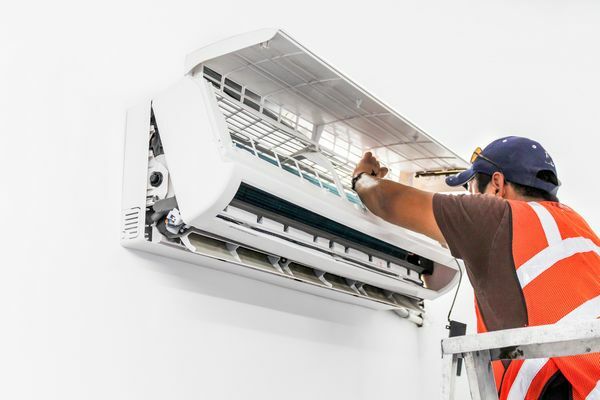 If you are thinking to yourself, “Is it ever too late for AC maintenance,” you should consider how much and how often you use your air conditioning. If you live somewhere such as Florida, Arizona or Texas, it’s likely you will use your AC at least some days in just about every month. And even if you live in the Midwest or on the East Coast, you could need to use your air conditioner, at least occasionally, in every month except December, January and February. So, no, it’s never too late for AC maintenance. There are some AC maintenance tasks that you can and should take care of yourself. One of those is changing the air filter in your HVAC unit. The air filter in your unit catches dust and other irritants that circulate through your vents and your AC unit. As such, making sure it is clean and in good shape plays a couple of critical roles. One of those, of course, is to ensure that you have clean air circulating through your home. Removing dust, mold, pet dander and other particles helps to ensure you are breathing clean air, which helps to prevent allergic reactions, colds and other breathing issues. Another way a clean filter helps is with the efficient operation of your AC. A dirty filter makes it harder to circulate air, which makes your AC work harder. That can cut down on efficiency and also make your unit more prone to break down. Changing your filter often helps prevent this. How often you should change your filter depends on the kind of HVAC unit you have. At a minimum, you should change it once a year, but some units may need more frequent filter changes. You can change your filter at any time during the year. Another important maintenance tasks is cleaning out your AC’s compressor unit. Because the compressor unit sits outside your home, it is exposed to the elements. This means it can get clogged up with dirt, leaves and other debris. If this happens, it can cause your AC unit to not work properly or at all. To ensure this doesn’t happen, you need to clean it regularly. The easiest way to do that is to hose it off with a garden hose at least a couple of times a year. Good times to do so are in the spring and toward the end of the summer. Even if you take great care of your air conditioner, it still needs periodic professional maintenance. A professional HVAC tech will be able to diagnose small problems before they become big ones and also make adjustments to your unit to ensure it keeps operating at its highest efficiency level. You can have service done any time of the year, but keep in mind that late spring and early fall are likely to be the busiest times. Taking care of your AC year round is a good idea. Just because you aren’t using it at a certain time doesn’t mean you shouldn’t be working on ways to keep it in top operating shape.